At the conclusion of an Indian wedding there is a gorgeous tradition called Dhruvadarshan, which is where the newly married couple are told to look towards the pole star. The pole star stays steady in the sky while other stars move around it. This symbolizes the steady nature of the new marriage despite the rapid changes in the world and in the lives of the newlyweds. 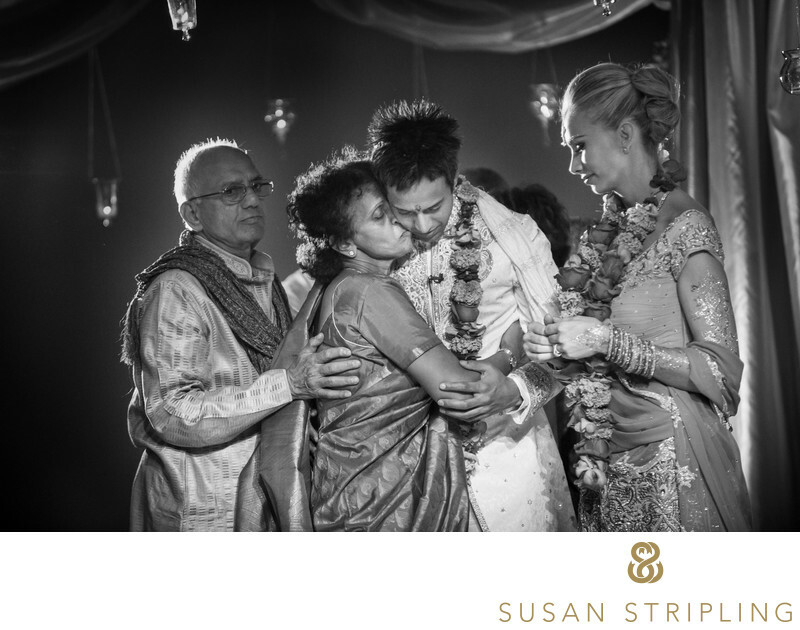 After this beautiful tradition was completed under the mandap at Manhattan’s Skylight West the bride and groom were embraced by the groom’s mother and father. It is always an honor to document a heartfelt moment for my clients. I love the back light cascading onto the new family and separating them from the dark background. I love the look on the groom’s father’s face and the protective hand he has placed on his wife’s back. I'm incredibly touched by the tender, devoted moment between the groom and the groom's mother. I am also moved by the serene look on the bride’s face as she witnesses this gentle exchange between the groom and his parents. After the Indian ceremony was complete the bride and groom recessed down the aisle and the guests went off to enjoy their cocktail hour. After a brief cocktail hour everyone was invited back upstairs, where the entire space had been transformed into a garden complete with trees and grass underfoot. This ceremony earlier in the day had honored the groom and his Indian heritage and the ceremony in the evening honored the bride and her Christian upbringing. It was a wonderful coming together of two families, two religions, and two cultures. 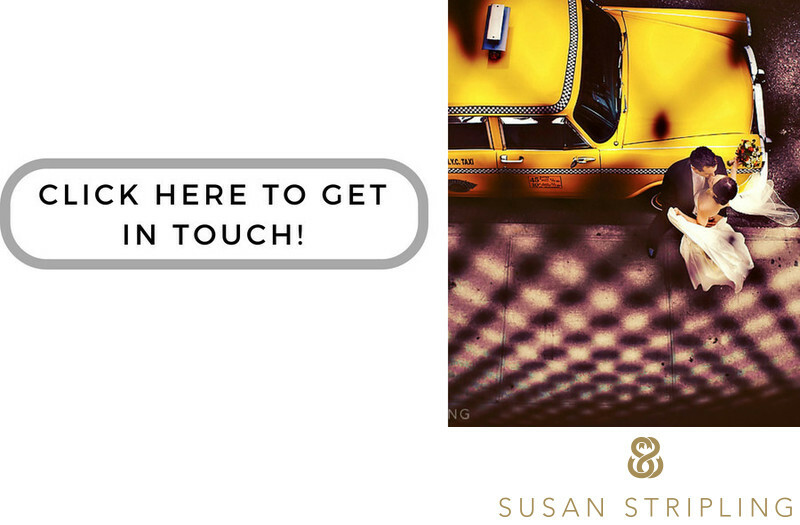 If you are planning a wedding, I'd love to hear from you. I'd love to learn what makes your wedding day so uniquely, completely, incredibly you. I'd love to tell your story. Keywords: David Tutera (51), Indian (168), New York City (207), Oscar De La Renta (27), Ray Roman (27), Skylight West (51), Sonnier and Castle (27). 1/320; f/2.8; ISO 7200; 200.0 mm.